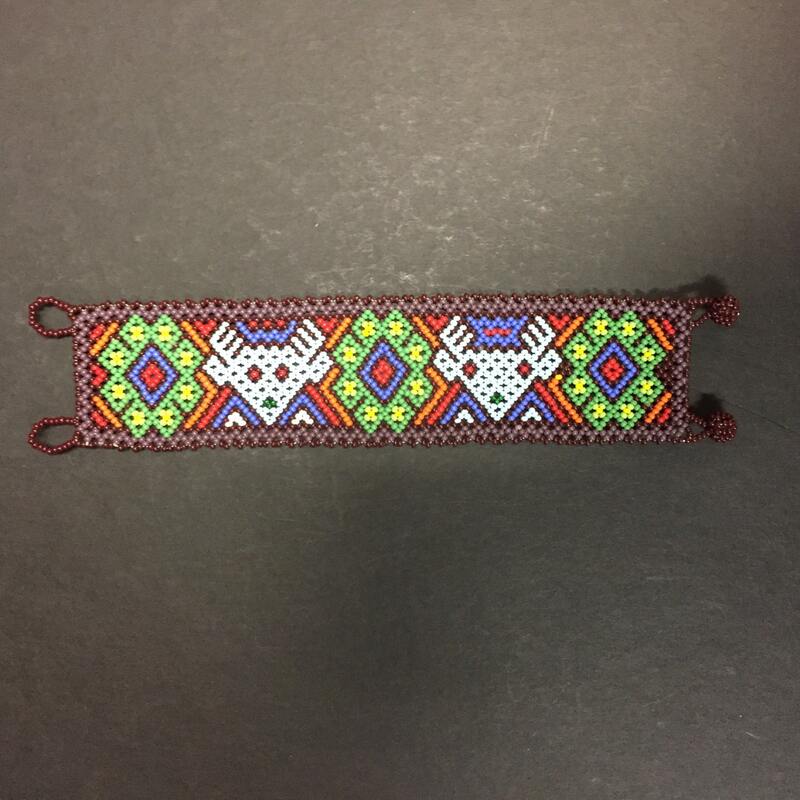 This beautifully handcrafted bracelet is 6 3/4" long x 1 5/8" wide. 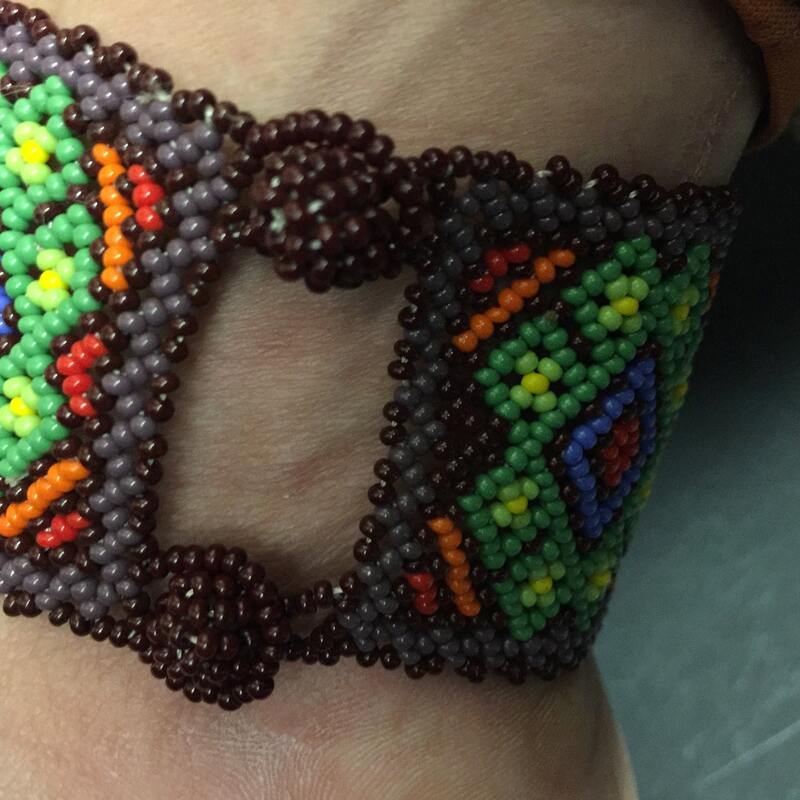 The bright tone beads allow for the beautiful craftsmanship to be noticed from afar. 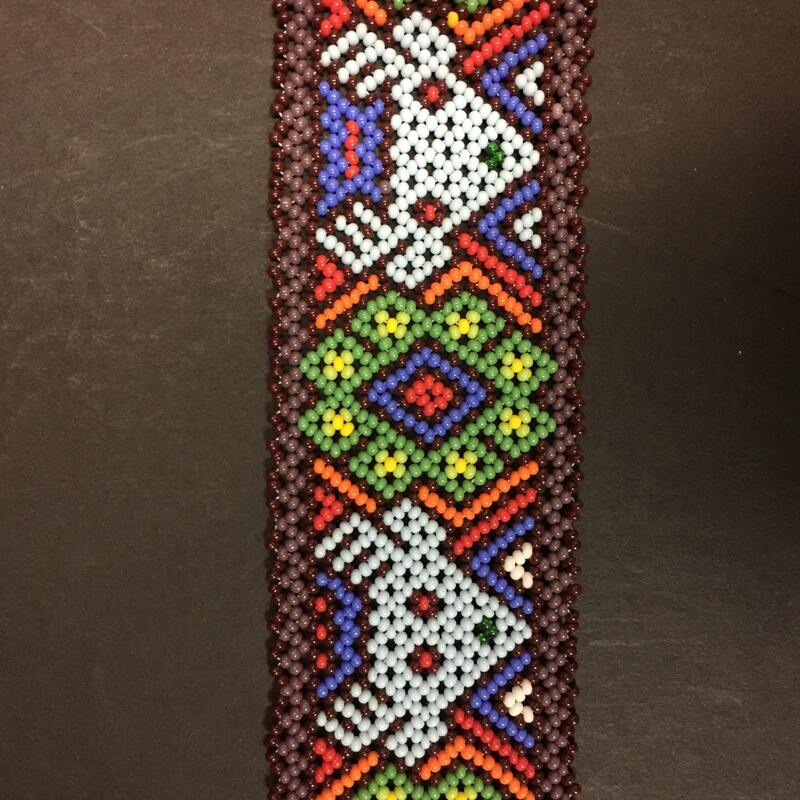 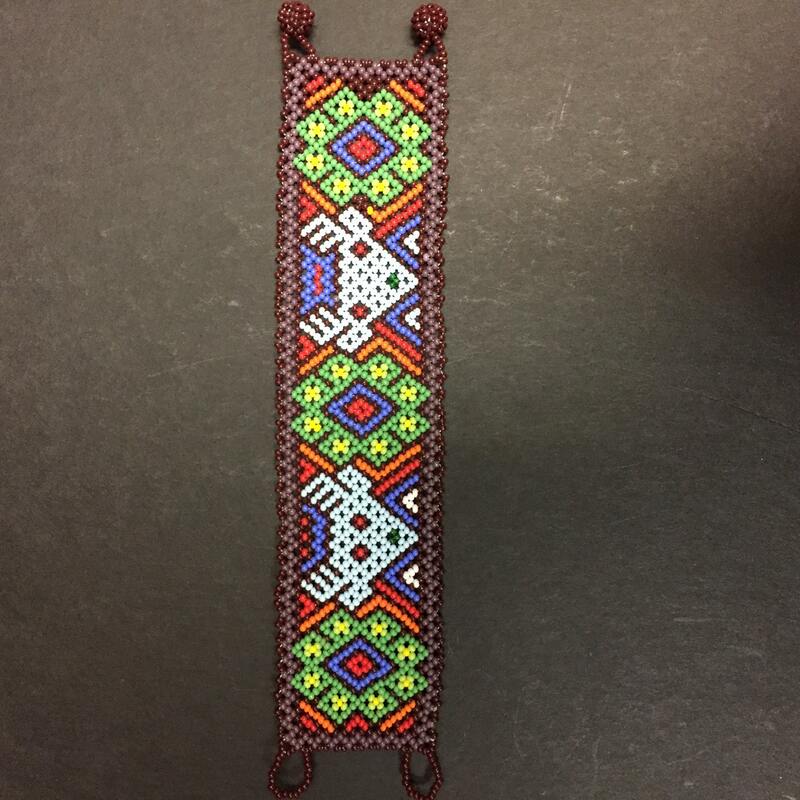 The unique beaded clasp is not only exquisite; it is functional as well. 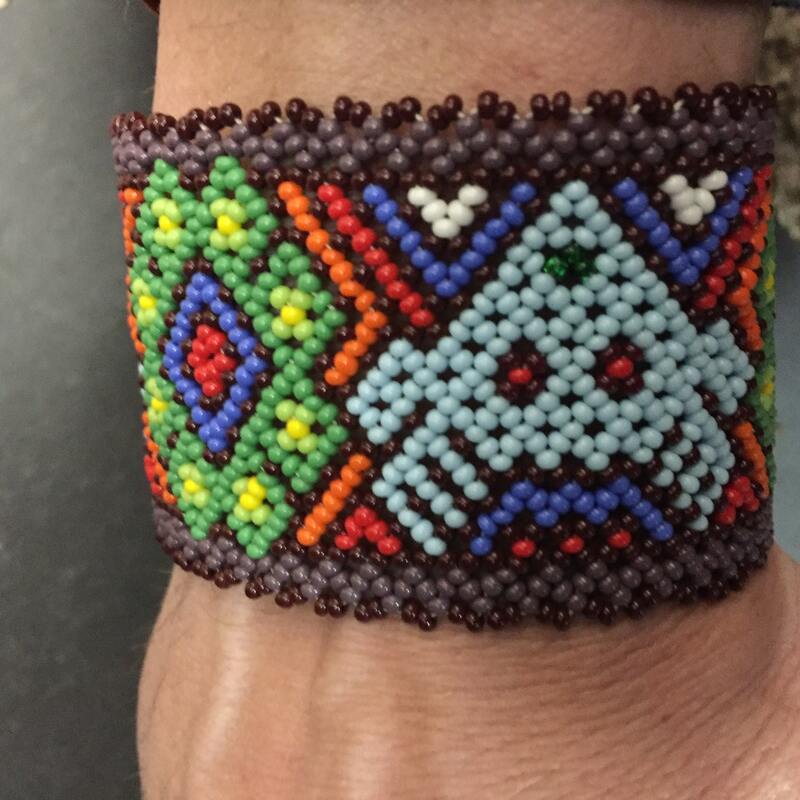 Intricate deer and peyote with multicolor designs.